A similar situation happened to me at a lunch meeting several years ago. While at lunch, I observed an older lady choking on a lodged piece of food that, obviously, was too large to go down. As a result, she started choking and was starting to turn cyanotic. I employed the Heimlich maneuver and, lo and behold, out came the piece of food she was trying to swallow. Whatever the method chosen to be used, I think it’s a great one if the food/object/etc is dislodged and the individual recovers from the ordeal! The Heimlich was the one I was experienced with and it was what worked! Were there other techniques that would have worked? Most likely! But, were they used? No, they were not! I have no dog (beagle or otherwise) in the fight over what the best approach is for helping choking victims. But I will tell you that the Heimlich maneuver has saved my life three times. The first time happened a few years ago at a work bbq. 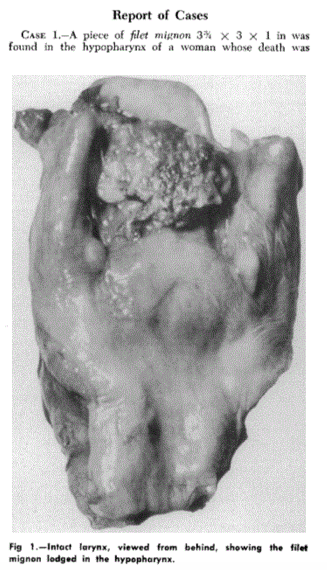 Some of the meat served was of poor quality, containing a great deal of connective tissue. I have always had a tendency to wolf my food – take large mouthfuls and swallow without chewing sufficiently. When the large lump of meat in my mouth proved recalcitrant to my chewing efforts, I tried to swallow it and it stuck in my throat. I was helpless and confused – I had no idea what to do having never experienced this situation before, but fortunately when another person familiar with the Heimlich spotted my distress, he applied it and was immediately successful in dislodging the bolus in my throat. The second and third times happened while I was alone at home. You would think after the first time I would have learned my lesson, but I initially attributed that incident primarily to the poor quality of the meat. I have now learned that I can no longer swallow bigs lumps of food safely and must cut things like meat into smaller pieces, put less in my mouth, and chew thoroughly before swallowing. But back to these latter two incidents: had I not had the first experience, I would not have known what to do. 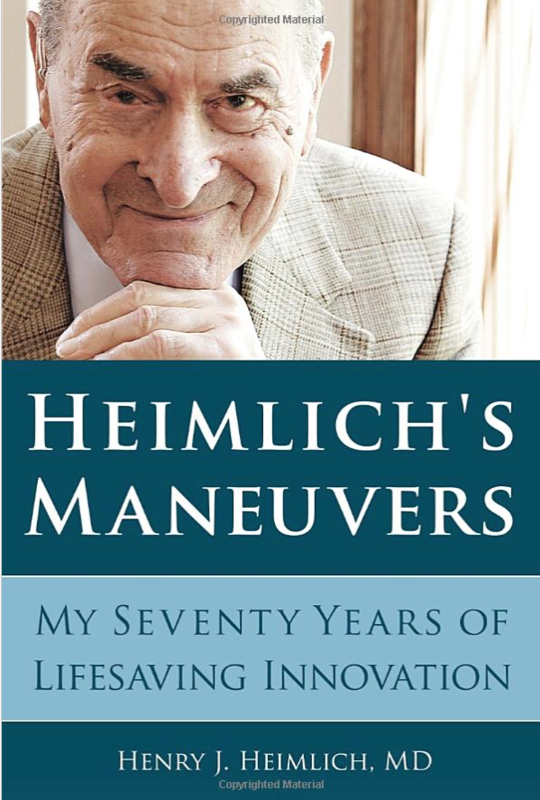 After that incident, I knew how to interpret the symptoms, and I read up on the Hemlich and learned how to do a self-Heimlich, by pressing my upper abdomen over the back of a chair or the edge of a table, etc. This is what saved me in those cases. 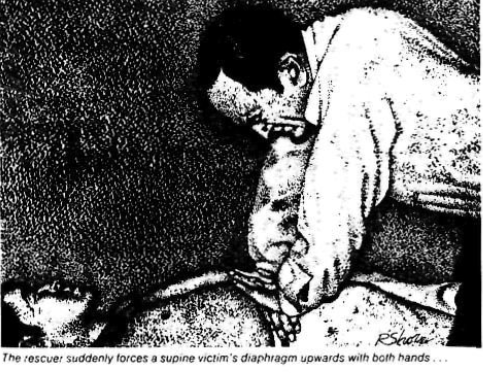 So my point is that in developing a technique to help choking victims, it is essential to consider the case where the victim is alone and needs to self-apply the technique. And for this situation the technique needs to be simple and easily memorized as the victim will have precious little time before lapsing into unconsciousness.